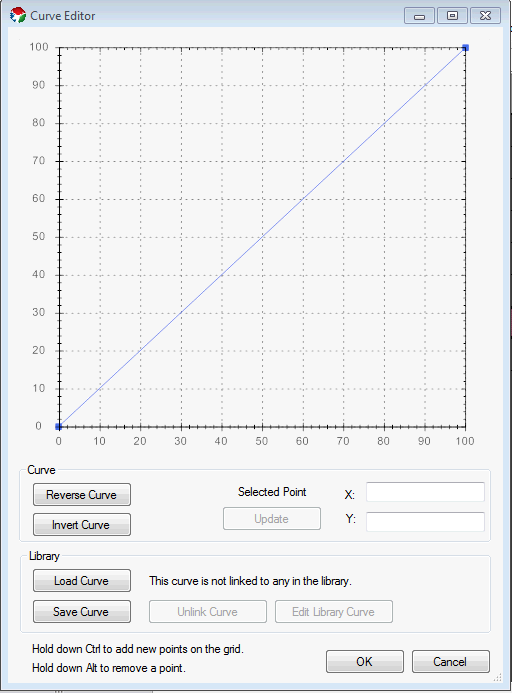 The curve editor allows you to define how a parameter changes over time. The most common place you see curves is for intensity. The Pulse effect is a key example where this is used. 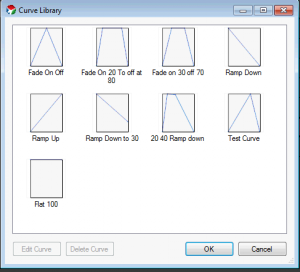 To create a ramp effect, the curve will be a diagonal line from the lower left to the upper right. To create a ramp down, the curve is reversed. Additional points can be added to the curve to change how it acts. The points can be dragged to the proper place, or the actual values can be edited. 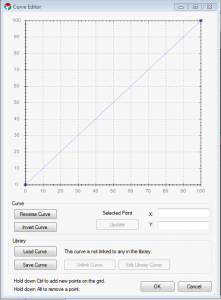 Curves can also be used for non-intensity parameters as well. One example of this is the movement curve in the Chase Effect. In this case, the curve defines the motion of the chase where the Y axis represents the chase position over the Z axis which is relative time. 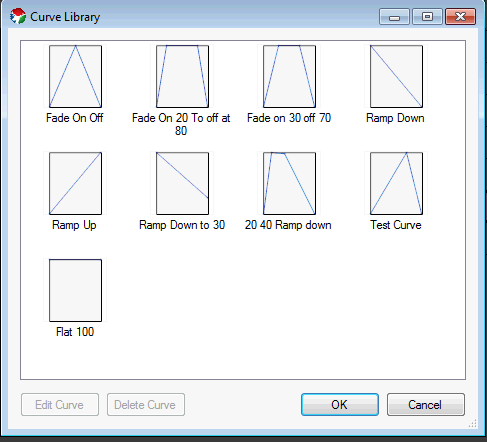 Once you are happy with a custom curve, you can save it to a the library and link it to other effects so they can look the same. 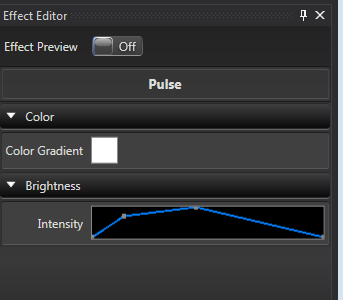 The curve library can be edited from within the effect editor or from the Tools menu in the main sequencer window.